In this lesson, we will understand the workings behind one of the most powerful full-text search engine, Apache Lucene. With Apache Lucene, we can use the APIs it exposes in many programming languages and builds the features we need. Lucene is one of the most powerful engine on which Elasticsearch is built up on.Before we start with an application which demonstrates the working of Apache Lucene, we will understand how Lucene works and many of its components. Let’s get started. Search is one of the most common operations we perform multiple times a day. This search can be across multiple web-pages which exist on the Web or a Music application or a code repository or a combination of all of these. One might think that a simple relational database can also support searching. This is correct. Databases like MySQL support full-text search. But what about the Web or a Music application or a code repository or a combination of all of these? The database cannot store this data in its columns. Even if it did, it will take an unacceptable amount of time to run the search this big. A full-text search engine is capable of running a search query on millions of files at once. The velocity at which data is being stored in an application today is huge. Running the full-text search on this kind of volume of data is a difficult task. This is because the information we need might exist in a single file out of billions of files kept on the web. The obvious question which should come to your mind is, how is Lucene so fast in running full-text search queries? The answer to this, of course, is with the help of indices it creates. But instead of creating a classic index, Lucene makes use of Inverted Indices. Inverted indices are much more easy to maintain. Suppose if we want to find Apache in my terms, I will have straightaway answers with Inverted indices whereas with classic search will run on complete documents which might not have been possible to run in real-time scenarios. 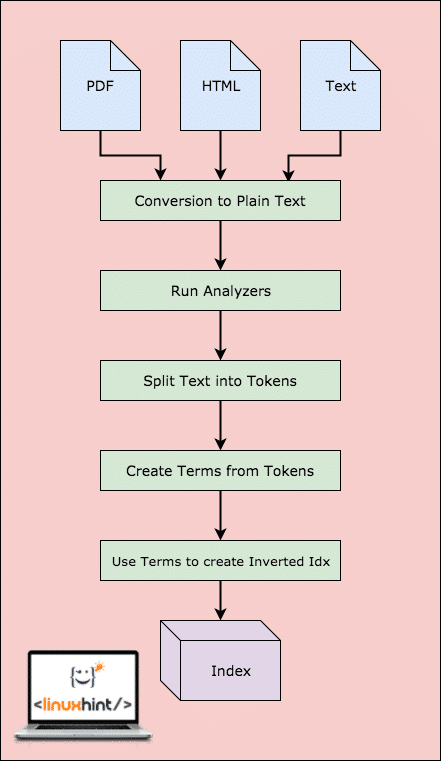 With this workflow, Lucene is a very strong full-text search engine. But this is the only part Lucene fulfils. We need to perform the work ourself. 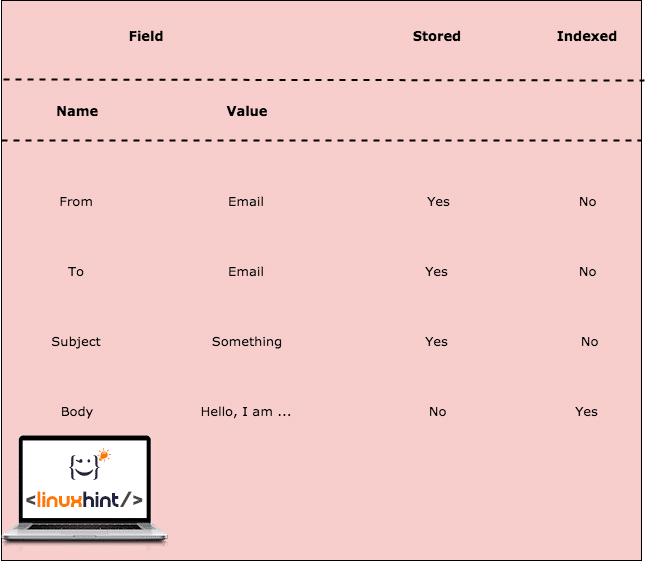 Let’s look at the components of Indexing needed. Directories: A Lucene index stores data in normal file system directoies or in memory if you need more performance. It is completely the apps choice to store data wherever it wants, a Database, the RAM or the disk. Documents: The data we feed to the Lucene engine needs to be converted to plain-text. To do this, we make a Document object which represents that source of data. Later, when we run a search query, as a result, we will get a list of Document objects that satisfy the query we passed. In above table, we decided to store some fields and others aren’t stored. The body field is not stored but indexed. This means that the email will be returned as a result when the query for one of the Terms for the body content is run. Terms: Terms represents a word from the text. Terms are extracted from the analysis and tokenization of Fields’ values, thus Term is the smallest unit on which the search is run. Stemming: An Analyzer converts the word into a Stem. This means that ‘flowers’ is converted to the stem word ‘flower’. So, when a search for ‘flower’ is run, the document will be returned. Filtering: An Analyzer also filters the stop words like ‘The’, ‘is’ etc. as these words do not attracts any queries to be run and aren’t productive. Normalization: This process removes accents and other character markings. This is just the normal responsibility of StandardAnalyzer. We will analyse what all files are created in these Index in more lessons to come on Lucene. In this lesson, we looked at how Apache Lucene works and we also made a simple example application which was based on Maven and java. 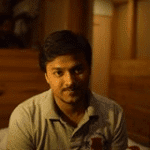 I’m a Java EE Engineer with about 4 years of experience in building quality products. I have excellent problem-solving skills in Spring Boot, Hibernate ORM, AWS, Git, Python and I am an emerging Data Scientist.